The strengths of the department are the high quality teaching and learning, the culture of sharing ideas and resources amongst colleagues and knowledge of the way in which the pupils work will be assessed. 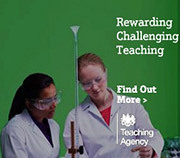 This results in varied and innovative teaching across the department and a very high standard of examination results. The Geography Department is comprised of 2 full-time members of staff, 3 part-time members of staff, and a Teaching Assistant. All teachers have their own teaching rooms with Smart Boards, projectors, text books and atlases. In addition there are 5 PCs in one of the teaching rooms for pupils to use. We have a range of text books available at both GCSE and A-level. We currently offer the following courses: GCSE Geography, A Level Geography and BTEC Travel and Tourism (Level 2 + Level 3 Extended Certificate). Unit 1: Living in the UK Today. This unit has 3 main themes: Landscapes of the UK; People of the UK and UK Environmental Challenges (1 hour examination). Unit 3: Geographical Skills & Fieldwork Skills. Pupils must complete at least 2 days of fieldwork in two contrasting locations; currently Appleby and Leeds. (1½ hour examination). Assessment: The units are equally weighted and worth 25%. Unit 1: Physical systems. Pupils study: Coastal Landscapes and Earth’s Life Support Systems (1½ hour examination). Unit 2: Human interactions. Pupils study: Changing Spaces; Making Places and Global Connections. (1½ hour examination). Unit 4: Independent Investigation. Pupils carry out independent fieldwork and write a written report up to 4000 words. 20% of A Level marks. Fieldwork. Up to 6 days by the end of Year 13. Pupils will undertake 4 units which will lead to a BTEC qualification (equivalent of 1 GCSE). Pupils will undertake 4 units which will lead to an extended BTEC qualification (equivalent of 1 A Level). Unit 11 – Specialist Tourism. Pupils produce up to 3 written assignments which are internally marked.